The first Dairy Goat Awareness Day was observed in 1986. On June 12, 1986, the American Dairy Goat Association presented six dairy goat kids to the US Department of Agriculture. At that time, an ADGA Life Membership Certificate was also given to President Ronald Reagan along with a painting of dairy goats. National Dairy Goat Awareness Week continues to be observed from the second Saturday in June to the third Saturday. Donate dairy goat books or dairy goat publication subscriptions. Some locations that may appreciate these resources could be your local public library, high school Ag class, university libraries or county extension offices. Match the donated publication to the recipient: health books to the local vet, children’s books to the local school district or daycare center, a subscription to a dairy goat publication such as the ADGA News & Events to the extension office. Contact your Chamber of Commerce about promoting or providing information on local dairy goat herds and the American Dairy Goat Association. Request State-level recognition of Dairy Goat Awareness Week by state governors and/or legislator. Participate in June Dairy Month activities with dairy cattle breeders or independently. Consider a tasting party with products made from goat milk, a poster contest, or a milking competition in town with local “celebrity” participants such as the mayor, radio personalities, or the 4-H or extension agent. Arrange a tour of one or more dairy goat farms for 4-H, FFA, Ag classes or school classes. Arrange a local interview about dairy goats. 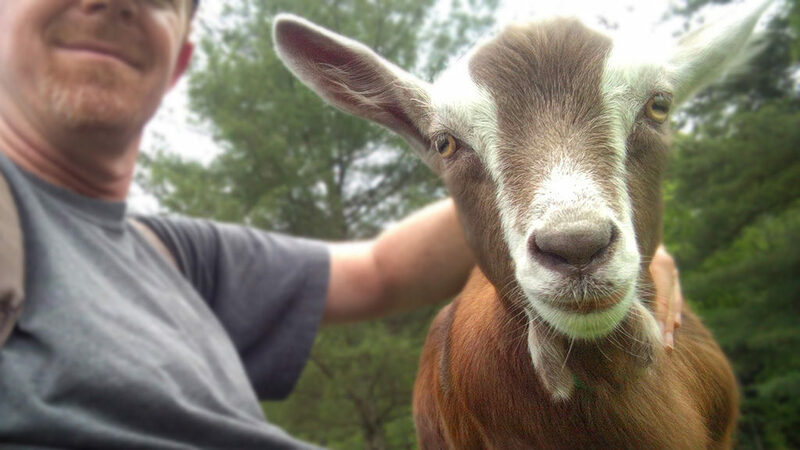 Write an article about dairy goats and submit it to the editor of your local newspaper. Throughout the year, be sure to recognize local, regional and/or state participants in the dairy goat industry. Check with public radio and TV stations about an interview or a visit to your farm. Have a display at a shopping mall or farmer’s market featuring live kids, brochures, and a map of the area with pins on it to locate breeders, with strings from the pins to the address and phone number of each breeder. Take some dairy goats to a 4-H day camp and pass out samples of dairy goat products if possible. Create an information display in a public building or at a local farm supply or hardware store. Include information about the American Dairy Goat Association, state and local dairy goat clubs and local dairy goat breeders.